Home / Uncategorized / CLP 0.6 oz. Our flagship product, RAND CLP is a nanoparticle infused, non-toxic, virtually odorless all-in-one cleaner, lubricant, and protectant. Unlike other products on the market, RAND CLP was designed from the ground up to clean and protect firearms. Using our patented formula, nanoparticles penetrate and fill in microscopic cracks in the surface metal of your gun, creating a slick surface that prevents the buildup of dirt, carbon, and powder fouling, at the same time reducing friction and wear on your gun. RAND CLP has a flash point of 604°F, and the lowest coefficient of friction on record. Using RAND CLP will cut your cleaning time in half, and add time to the service life of your firearms. Why should I use RAND CLP? 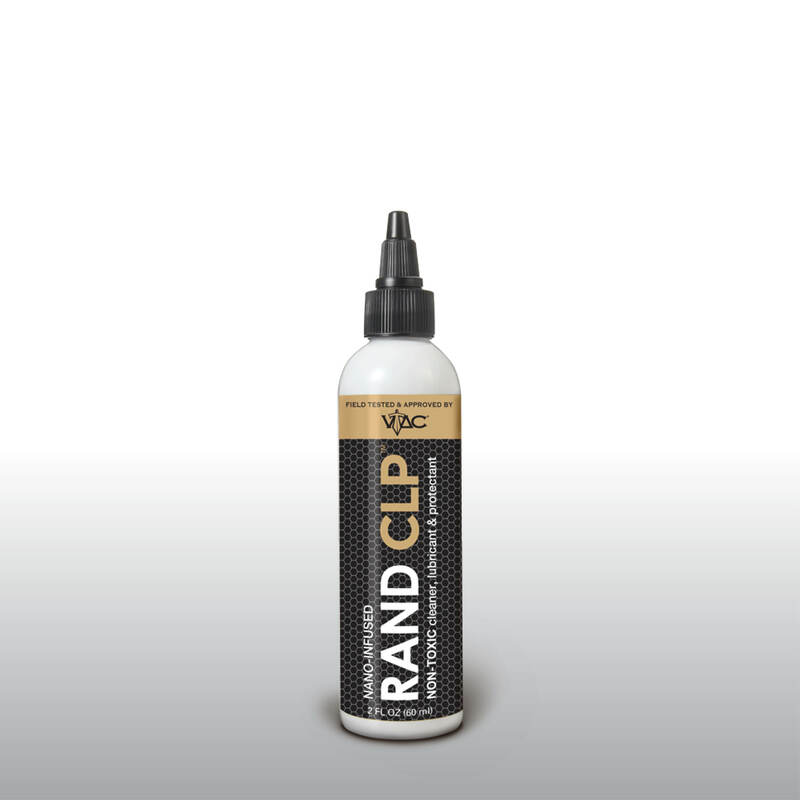 RAND has broken the mold on traditional CLPs by creating RAND CLP: a non–toxic, nanoparticle infused all-in-one cleaner, lubricant and protectant. 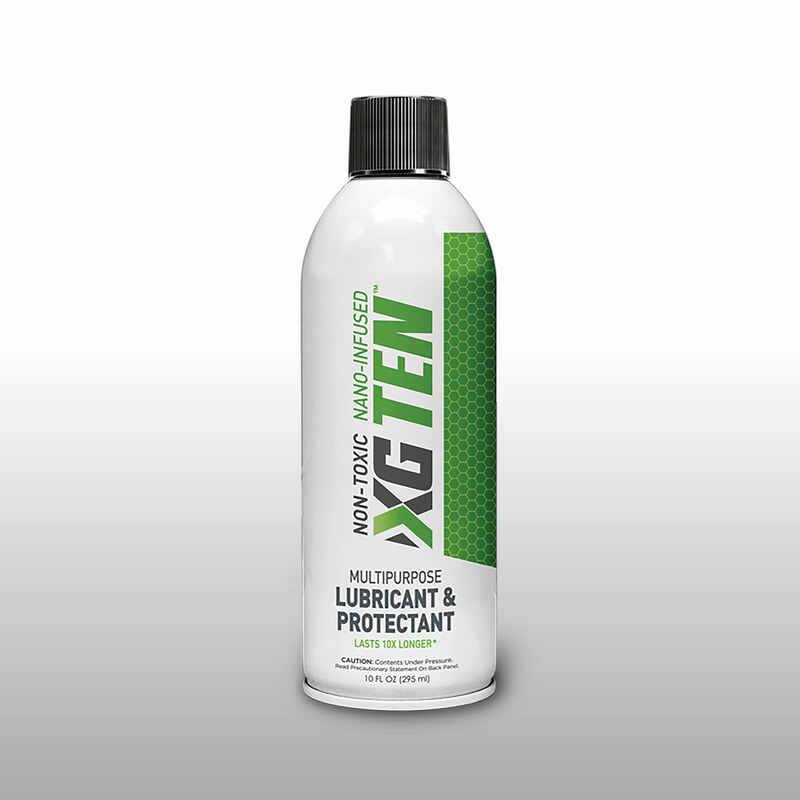 We have combined an eco-friendly, noncombustible vegetable oil base with the lubricating power of a proprietary nanoparticle compound to create unsurpassed, field-tested longevity per application. Backed by trusted professionals, RAND CLP will be there when you need it most. How Does RAND CLP work? RAND CLP uses a proprietary blend of nanoparticle compounds that bind to the metal surface of your firearm, creating a uniquely smooth and durable surface that protects against oxidation and carbon buildup, while at the same time providing ultra-effective lubrication that keeps the metal parts in your firearm moving smoothly and operating effectively. How has RAND CLP been tested? In the field: our product surpassed the competition in side-by-side controlled performance tests, with industry experts firing thousands of rounds without failure. RAND CLP has also outperformed when tested under extreme weather conditions both hot and cold. In the lab: when compared to other products on the market, RAND CLP has the lowest coefficient of friction on record. RAND CLP is also formulated not to run or bleed into areas where it is not applied, giving you a more effective, targeted application. Is RAND CLP eco-friendly? What is the flash point of RAND CLP? Will RAND CLP dry out? No. RAND CLP is a patented formulation of recently discovered nanoparticles that engage with the surface of metal in ways never before observed. These particles form a durable bond with the metal of your firearm, creating a long lasting film that does not burn off or dry out like other typical lubricants. The combination of this bond and our perfect viscosity keeps RAND CLP where it is most needed with no running or bleeding into other areas. You should pre-treat all your firearms with RAND CLP for rust protection prior to storing. This means running some RAND CLP through and on all the metal and friction points, leaving a thin layer. This will protect against oxidation and rust build up. You should also clean your firearm after each firing; however, because of the bond that RAND CLP forms with the metal of your firearm, your cleaning time will be cut in half. How does RAND CLP stack up against the competition? There is no other product in the world that offers the level of cleaning, lubrica- tion and protection in one bottle like RAND CLP. We offer the lowest friction point on the market. RAND CLP is nontoxic, noncombustible and odorless.